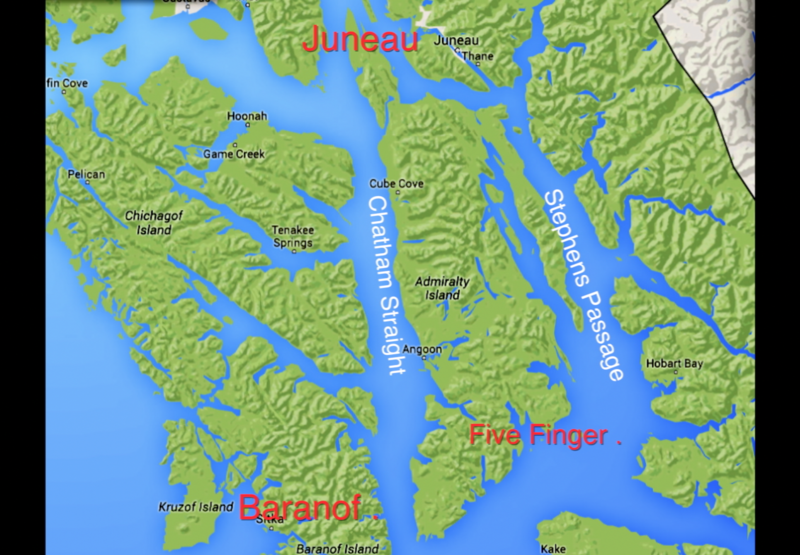 Historic Five Finger Lighthouse is located at the confluence of Stephen’s Passage and Frederick Sound in Southeast Alaska. 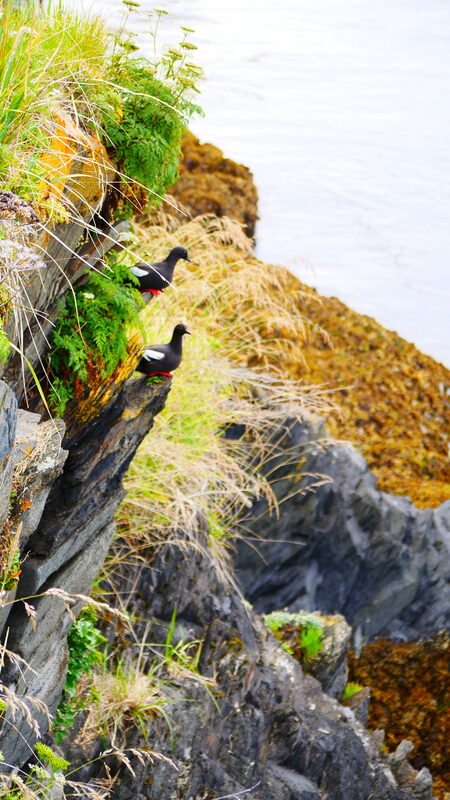 The island on which it sits and the surrounding waters are a home to nesting seabirds, foraging songbirds, bald eagles, stellar sea lions, harbor seals, sea otters, harbor porpoise, transient killer whales and large numbers of humpback whales. Since 1902 this lighthouse has stood as a beacon of safety, lighting the way for mariners, miners, and explorers of the great North. It’s sturdy white walls, topped by a brass cupola, are a welcome sight for all those navigating this scenic stretch of the Alaskan Marine Highway. Five Finger lighthouse is unique. It was both the first and last manned lighthouse in Southeast Alaska. Scrawled on the underground walls of the structure are the names of the men who manned the light through winter storms, and written into the log books are their stories. But the era of manned lighthouses has passed, and with it the role of the Five Finger Lighthouse is changing. 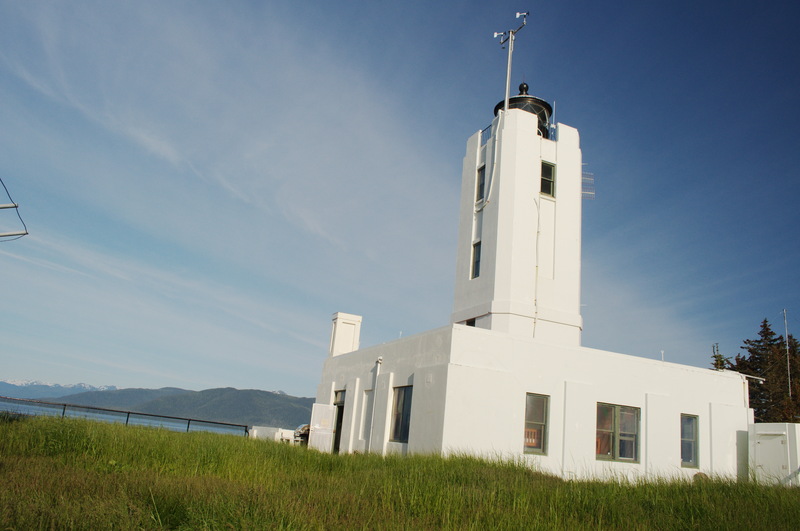 The lighthouse is owned and operated by the Juneau Lighthouse Association (JLA). The JLA is a 501c(3) non-profit who took over responsibility for this iconic structure in 1997. We at the JLA believe that use preserves. By giving the lighthouse a purpose we invest ourselves in its preservation. In keeping with this mandate we vow to share the natural and cultural resources associated with this small island and the beacon that is located here. In partnership with other non-profits, artists, and community volunteers, the Lighthouse has been transformed into a scientific research station, artists retreat, museum, and home-away-from-home for lighthouse keepers. 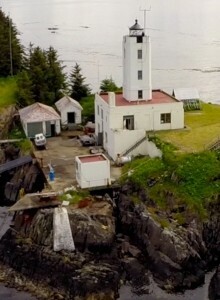 As with any structure needing to survive the harsh Alaskan winters, Fiver Finger Lighthouse takes constant maintenance in the summer months to stay open and available for visitors. As a non-profit organization, we rely on the support of members, donors, and volunteers to keep this maritime landmark operating. Please consider donating to ensure that the Five Finger Lighthouse will continue to shine for yet another century.